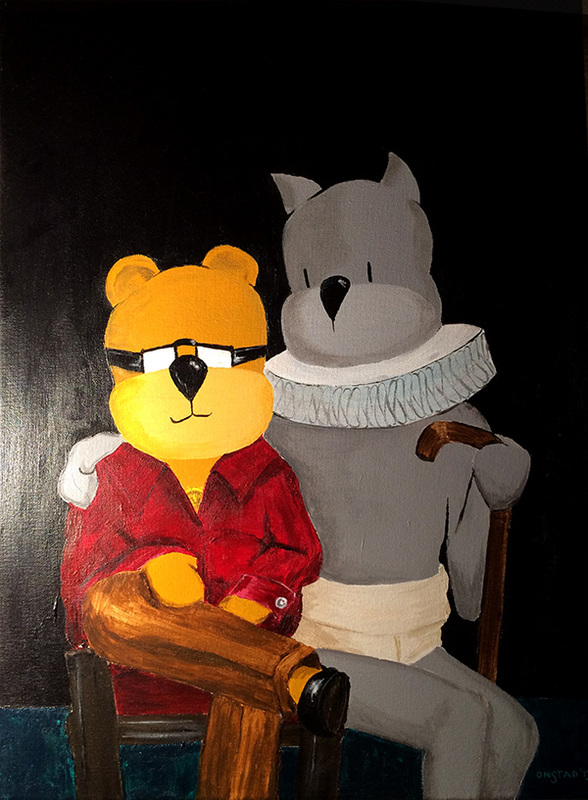 Email chris@achewood.com with your idea. We’ll define what you’re looking for until both sides are clear. Commission: Roast Beef with Huge Underwear, Jacobean Ruff, Crooked Friend. 2013. 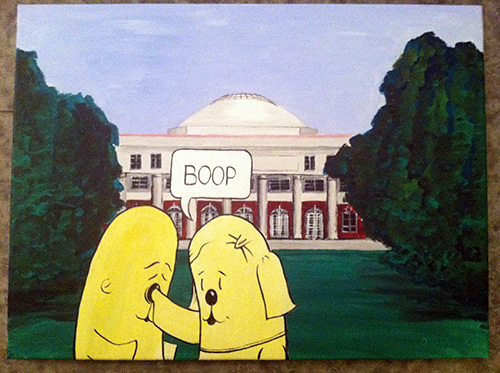 Commission: This was my first time painting Vanderbilt University with lovestruck otters in the foreground. 2013. Detail from a Nighthawks daytime thing. 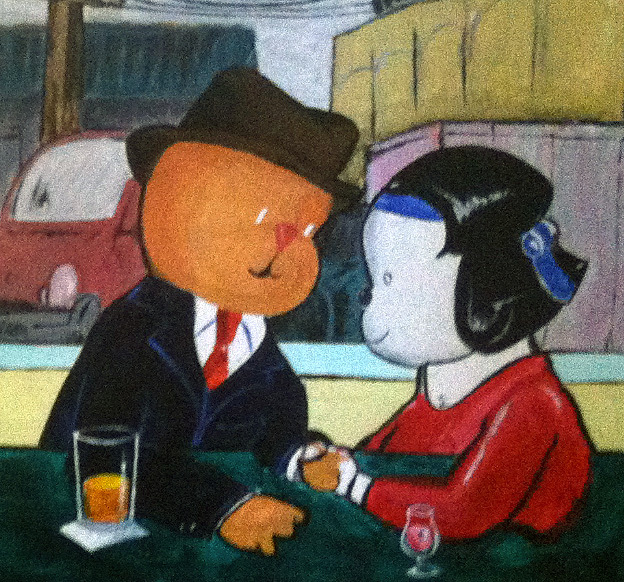 Commissioned artwork prices are based on canvas size, and begin at $750 for a 9″ x 12″ piece. Prices grow linearly with canvas size. 11″ x 14″ inks on archival paper are $400. A minimum of 1-2 months is needed to complete original artwork. If there are special time constraints, like a rapidly-approaching birthday, I can happily work with that. Please let me know what you’re interested in and we can negotiate terms quickly. There are often special discounts for knuckleheads since small times. It helps if I remember you (fondly) from the milk money days.